The HSA dance studios are professional studios for individual or group rehearsals and events. Three spacious options are available to accommodate performances, rehearsals (acting and dance), workshops, photo & video shoots and auditions. 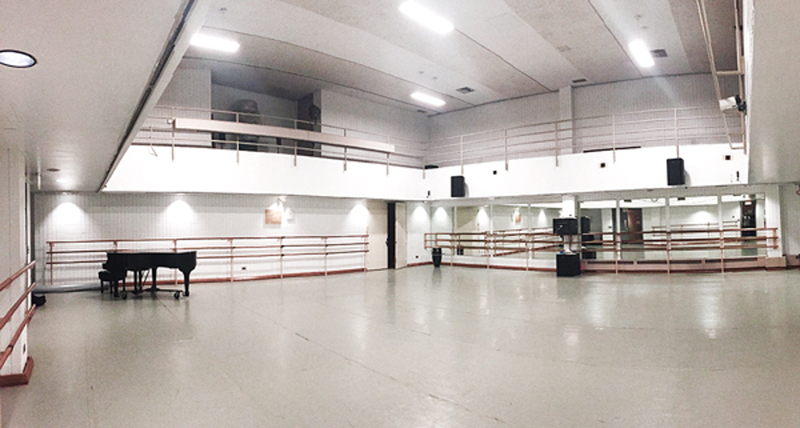 Each studio includes fixed ballet barres, eight-foot high mirrors, pianos, and audio equipment. 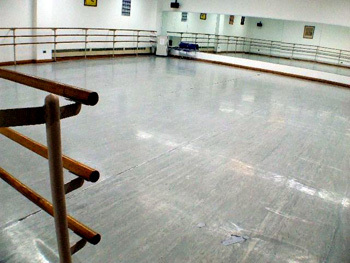 Studio 106 (45’x27′) is a light grey Marley floor traditionally used for tap, hip-hop and ballet classes. No food or drinks allowed in Dance Studios.